Leading up to the release of his 2016 special, Comedy Camisado, Hannibal Buress joked in interviews about choosing this title because, much like a "camisado" — a surprise attack in the night — he aimed to sneak up on people with his jokes. While it was clear that he was just being playful to inject a dose of levity into his otherwise tedious press tour, this description coincidentally happened be a fitting lens through which to contextualize that hour. Throughout Comedy Camisado, Buress continuously found genuine comedic value in unlikely fodder by filtering it through his uniquely skewed point of view, producing pleasantly disproportionate results. In his latest hour, performed at the Sony Centre on Thursday night, Buress strayed slightly from this approach, assigning his slightly off-kilter perspective to topics where the intrinsic comedic merit was more immediate, effectively putting on a riotous performance that went on for over an hour. It helped, of course, that he's, in his own words, "medium famous," and that the theatre was packed with excitable fans who'd come to see him, but one gets the sense that this is the type of hour that could play to a room of any size, for crowds with varying preferences. Much of this can be attributed to the inventive way in which Buress incorporated multimedia throughout his set. 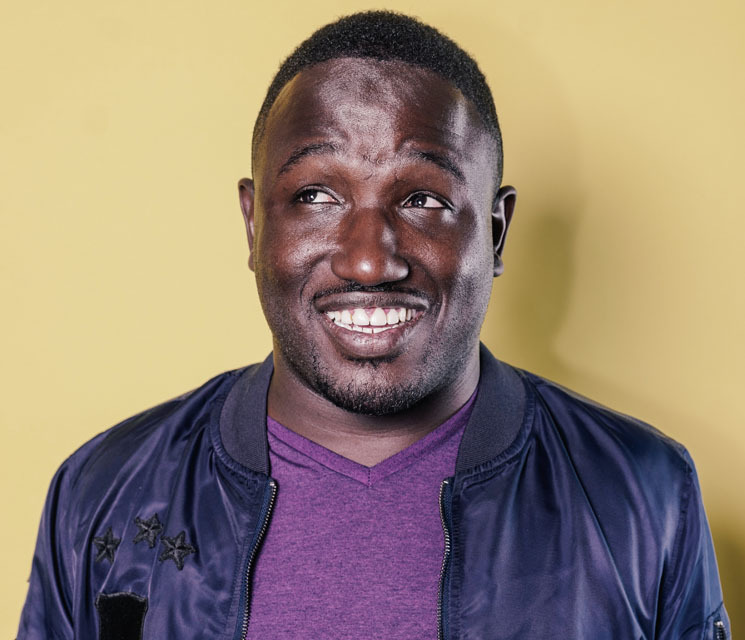 Understanding that audiences today have historically short attention spans — and that it's far easier to simply show an audience a piece of media than it is to painstakingly describe it in detail — Buress took full advantage, integrating pictures, videos, and sound effects into his set whenever appropriate. When he cracked a joke about a Drake lyric, for example, he didn't just recite the lyric from memory, he had it spliced in by his DJ, played before and after the punch line, turning it into both the perfect setup and a hilarious tag for the joke. Similarly, when he performed a bit about Auto-Tune, his personal use of the effect made the routine viscerally hilarious in a way that he simply couldn't have recreated if he'd delivered the jokes straight. During the moments when he abandoned these frills, Buress's material was tight, cleverly worded, and draped in his trademark persona, recalling the best of his previous work. A bit about the unnecessarily bureaucratic process of obtaining an asthma inhaler, for example, was particularly satisfying to longtime fans, as it seemed like it could have easily come off of any of his previously well-received specials. With Buress's "medium fame," however, his life has inevitably changed to encompass a plethora of new experiences that he's begun talking about on stage. One particular anecdote about his news-making arrest in Miami last year was particularly inspired, as Buress presented a hilarious multimedia slideshow that ended with an extremely satisfying footnote, more than justifying the extended journey he'd taken us on. If the performance had one drawback, it's that his set should probably have ended on this note, as the remainder of the show began to drag a little in contrast to this exciting tale.